3D-Tool is a useful viewer for 3D and 2D CAD files; importing many common 3D and 2D CAD File Formats. 3D-Tool gives you the ability to visualize, analyze, and mark-up your CAD projects. With 3D-Tool you produce zipped self-viewing executable files of your CAD projects, which can be e-mailed and displayed on any PC without installation or additional licensing. The simple user interface allows anybody, without special CAD knowledge, to view your models, zoom in on details or simply look inside your models using dynamic cross sections. Views from any angle can be easily printed or saved as pictures. Various analysis functions help the mechanical designer analyze complex geometry problems and develop solutions. · 3D-Tool facilitates detailed review of the design of individual parts or complete assemblies in 3D and 2D, including measuring distances, angles and radii. · 3D-Notes can be attached to any geometry feature, so your feedback to your designers and vendors can be very clear and accurate. · 3D-Tool uses its own file format, thus your sensitive CAD data cannot be changed unintentionally. The viewer does not give access to your data structure. · 3D-Tool creates compact, directly executable files (* EXE). These contain the Viewer and the project data. The receiver can immediately execute these files, without installation, to get comprehensive information about your project. · Several Rapidly Prototyping model cleanup and preparation functions. · 3D-Tool prints complete models, details or cross sections in any orientation or saves these as JPG or BMP Files. The colors of individual details can be changed at any time. · 3D-Tool supports many 3D and 2D File Formats. 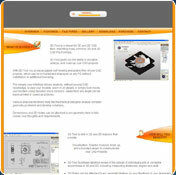 You cannot download any crack or serial number for 3D-Tool on this page. Every software that you are able to download on our site is legal. There is no crack, serial number, hack or activation key for 3D-Tool present here. Our collection also doesn't contain any keygens, because keygen programs are being used in illegal ways which we do not support. All software that you can find here is freely downloadable and legal. 3D-Tool installation package is prepared to be downloaded from our fast download servers. It is checked for possible viruses and is proven to be 100% clean and safe. Various leading antiviruses have been used to test 3D-Tool, if it contains any viruses. No infections have been found and downloading 3D-Tool is completelly problem free because of that reason. Our experts on malware detection tested 3D-Tool with various spyware and malware detection programs, including fyxm.net custom malware and spyware detection, and absolutelly no malware or spyware was found in 3D-Tool. All software that you can find on our servers, including 3D-Tool, is either freeware, shareware or open-source, some of the software packages are demo, trial or patch versions and if possible (public domain licence), we also host official full versions of software. Because we want to be one of the fastest download sites on the web, we host all the software including 3D-Tool on our servers. You cannot find here any torrents or download links that would lead you to dangerous sites.